Dubai is a city in the United Arab Emirates that has become a playground for the world’s rich and famous. 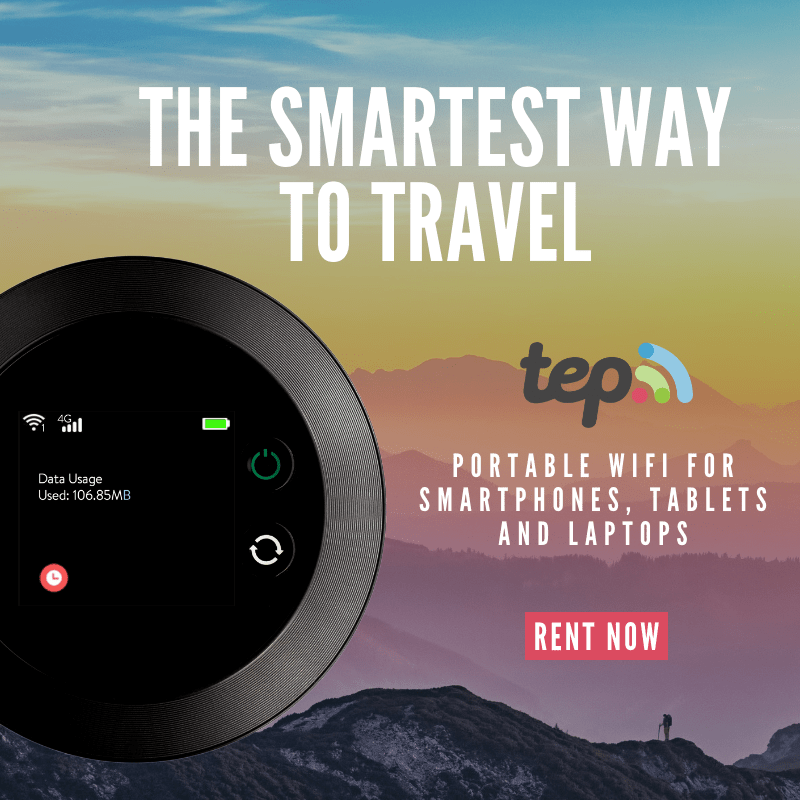 It’s a city of superlatives, with the world’s tallest building, the world’s only 7-star hotel and is working on the world’s largest airport. Dubai’s airline, Emirates is fast becoming a leader in long-haul flights, and offers direct service from Dubai to cities all over the world. 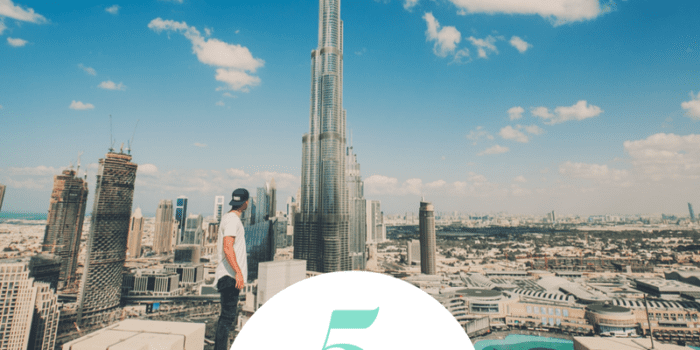 Citizens from most English-speaking countries (US, UK, Australia, New Zeland, Canada, etc) can obtain a 30-day visitor’s visa upon entry, making the logistics of visiting Dubai a breeze. 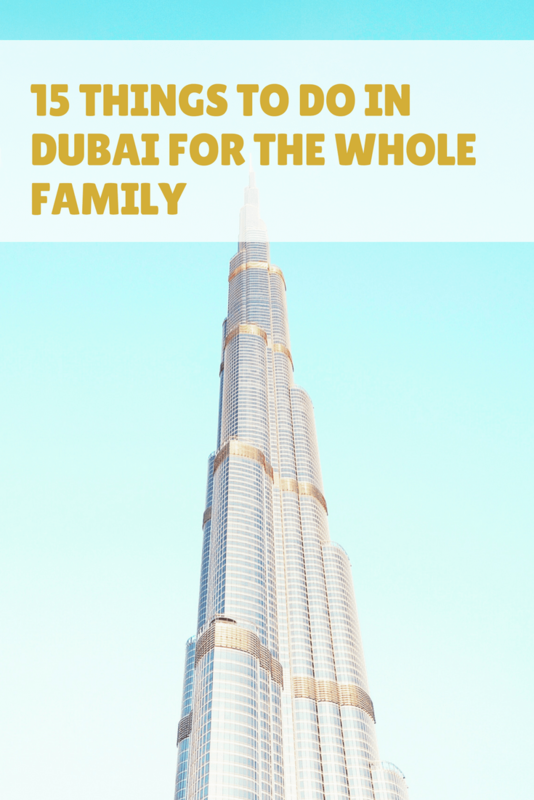 The Burj Khalifa is the tallest building in the world, topping out at 160 stories! This multi-use building opened in 2010 in a government attempt to diversify from the oil industry and put Dubai on the map internationally. The Armani hotel occupies 15 of the lower floors, sky lobbies with swimming pools on floors 43 and 76, plus 900 residential apartment homes occupying up to the 108th floor. There is also an outdoor observation deck on the 124th floor. Tickets to the observation deck can be purchased in advance, and at a significant discount vs buying them in person. At the base of Burj Khalifa is the Dubai Fountain, which is the largest choreographed fountain in the world. The 30-acre lake is illuminated by over 6,000 lights and 50 color projectors, with musical accompaniment. Light and music shows occur twice in the daytime and every 30 minutes in the evening, so you’ll have a good chance of catching a light show at the Dubai Fountain. The Burj Al Arab is an ultra-luxury hotel set on an island in Dubai, connected to the mainland by a private bridge. 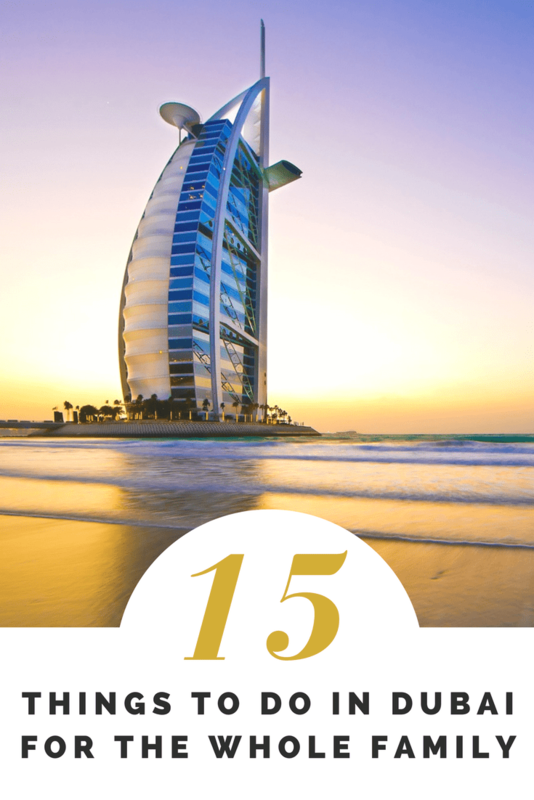 The sail-shaped building is easily recognizable and it is the third tallest hotel in the world. 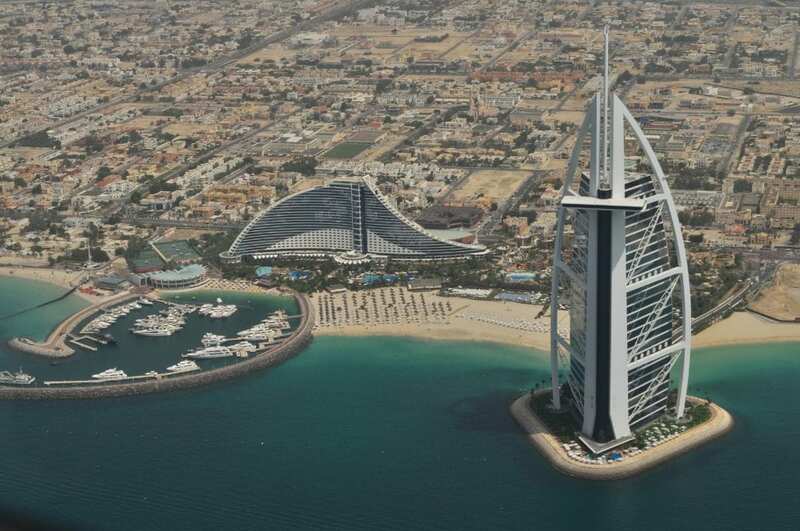 Claiming to be a seven-star hotel, one night at the Burj Al Arab will run you nearly $2000 USD. Not feeling up to that bill? You can visit the Burj Al Arab with a dining reservation at any one of the many restaurants on the property. Of course, dining here is not for the budget-minded, either, but afternoon tea is the least expensive option, at around $150 USD per person. In the shadow of Burj Al Arab is Jumeirah Beach, a white sand beach on the coast of the Persian Gulf. The beach is lined with hotels and resorts, and if you are not staying along the beach, you will need to seek out the public section of the beach for access. There is no public access between Burj Al Arab and the Palm. 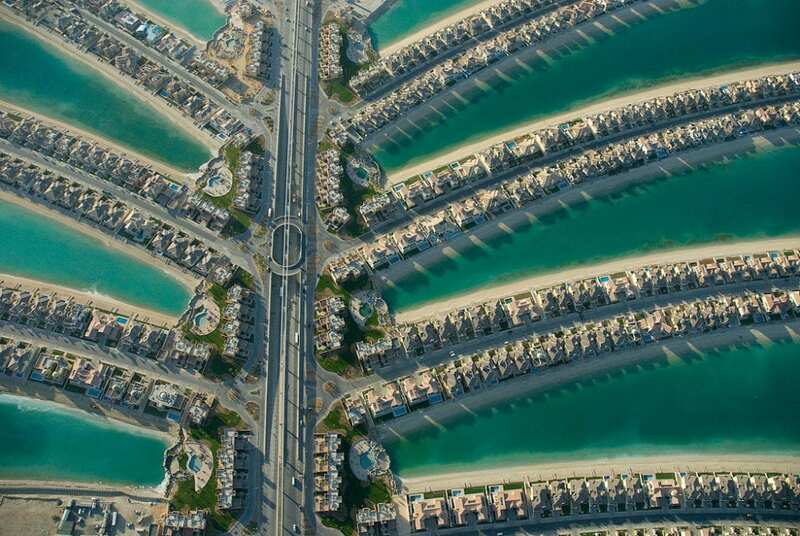 The Palm Jumeirah is a man-made series of islands, created in the shape of a palm tree. The building of these islands caused much fan-fare and indeed makes for an interesting aerial view. Within the Palm, you’ll find upscale apartments and hotels, restaurants and shopping. In the evening, beach clubs transform into a party scene with live DJ’s. One popular resort at the Palm is Atlantis, a 5-star hotel featuring a waterpark and aquarium. Situated near Jumeirah Beach, is the world’s fastest growing outdoor waterpark, the Wild Wadi Waterpark. Offering the largest collection of water rides in the UAE, visitors can ride over 20 different thrilling water rides. 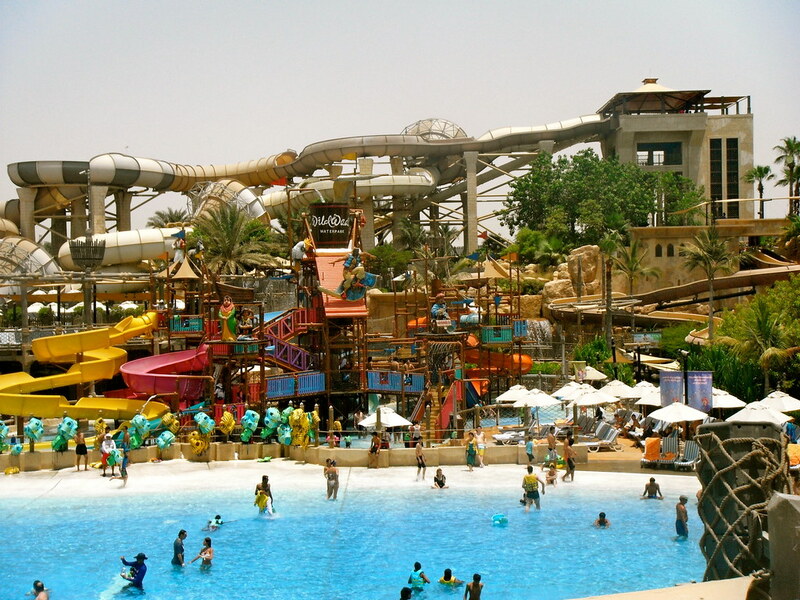 The park is part of the Jumeirah hotel family, so guests at their hotels will receive free entry to the waterpark. Within Wild Wadi, there are also several restaurants and snack shops, plus souvenir stands so you can make a whole day out of your visit. The Dubai Mall, opened in 2008, is the world’s largest shopping mall by total area. 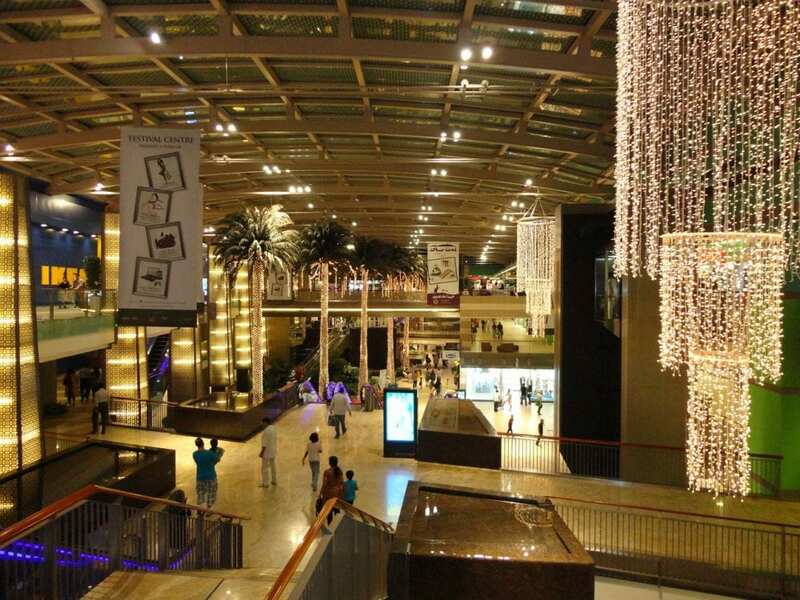 The mall is part of the larger Downtown Dubai complex and houses over 1,000 stores. Dubai Mall attracts over 50 million visitors per year – that’s more than all of New York City or Los Angeles! Of course, this isn’t just any ordinary mega-mall made for shopping. Visitors to Dubai Mall can see the Dubai Aquarium and Underwater Zoo, SEGA Republic (indoor theme park,) a 22-screen cinema, the Rainforest Cafe and KidZania, a child-sized entertainment zone. 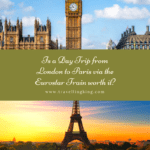 Want to visit the world’s largest sweet shop? Dubai Mall’s Candylicious ticks that box, at over 900 square meters! While Mall of the Emirates won’t win any size awards, it is allegedly the world’s first shopping resort, and still a very large mall, although dwarfed by the Dubai Mall. 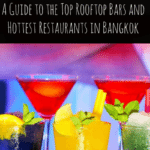 There are over 500 shops, 90 restaurants, and a 5-star hotel. Perhaps the best-known attraction of the Mall of the Emirates is Ski Dubai, an indoor ski resort in the desert. With an 85-meter mountain, Ski Dubai boasts of the world’s first indoor black diamond ski run. 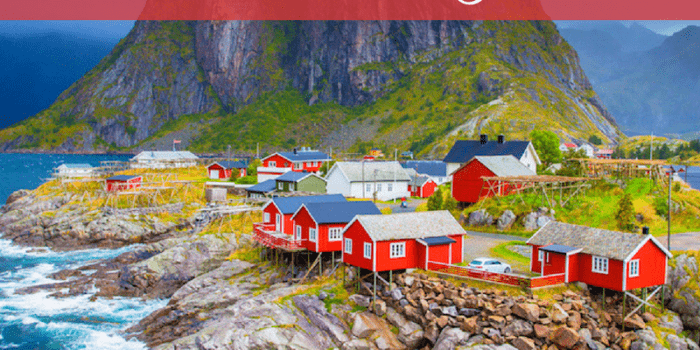 In total, 5 slopes offer a variety of skill levels for all visitors, and you might even see the resident penguins out for a stroll. Entrance to Ski Dubai is not terribly expensive, and includes winter clothing plus your ski equipment. After all, who wants to bring a parka to Dubai? 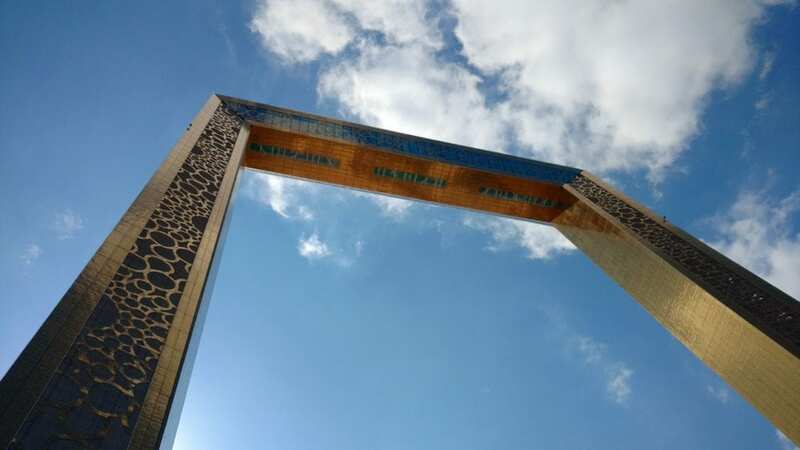 The newest addition to the Dubai superlatives is the Dubai Frame, a landmark / picture frame in Zabeel Park. Opened on January 1st, 2018, this is the world’s largest picture frame and is centered on the stunning skyline of Dubai. 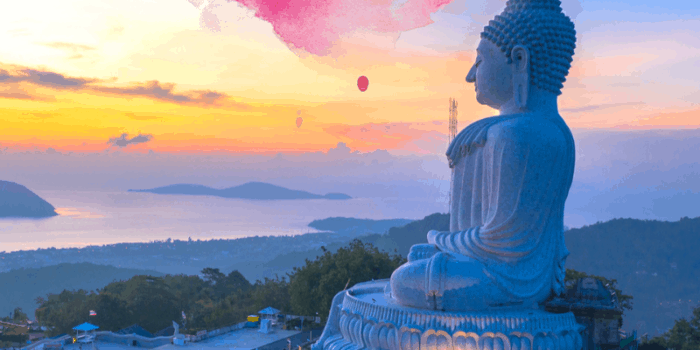 The frame is 150 meters tall and is likely already featured across social media accounts worldwide. Dubai Creek is a saltwater creek flowing through Dubai to the Persian Gulf. Visitors can jump on an abra, or traditional wooden boat, to take a trip across the creek. 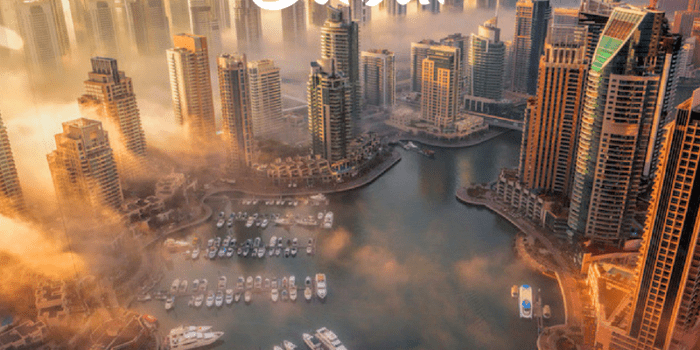 There is also a marina at the Dubai Creek Golf & Yacht Club, and a promenade at Al Seef, where you can find restaurants, shops, shows, events and cultural activities. This area is also rich in historical sites as this is once where fishermen and tradesmen used to come to trade goods. In contrast to the glitzy malls of Dubai, one can still find traditional souks, each hawking specialty items. 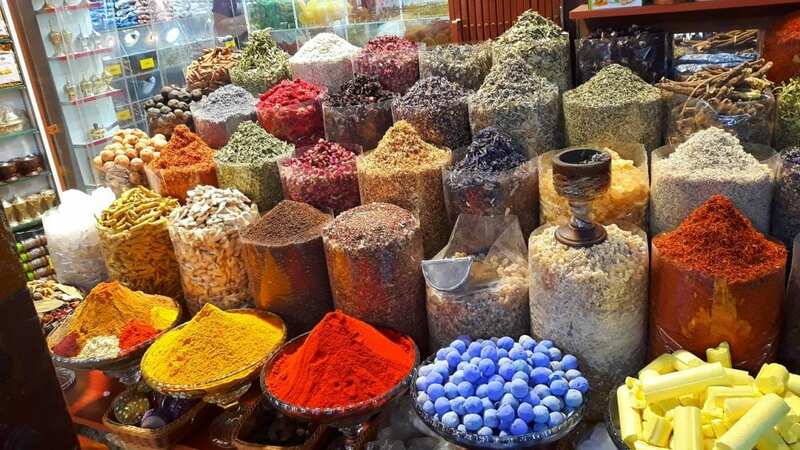 Some of the most popular Dubai souks are the gold souk, the spice souk, the perfume souk and the textile souk. A visit to any of these souks offers an interesting glimpse into the Arabian culture that long predates the modernization of Dubai. Between the Dubai Creek and Bar Dubai districts lies Bastakiya Quarter, the city’s historic district. Here you can see Dubai’s oldest building, from the late 1700’s, the Al Fahidi Fort, the Dubai Museum and the Sheik Mohammed Center for Cultural Understanding. 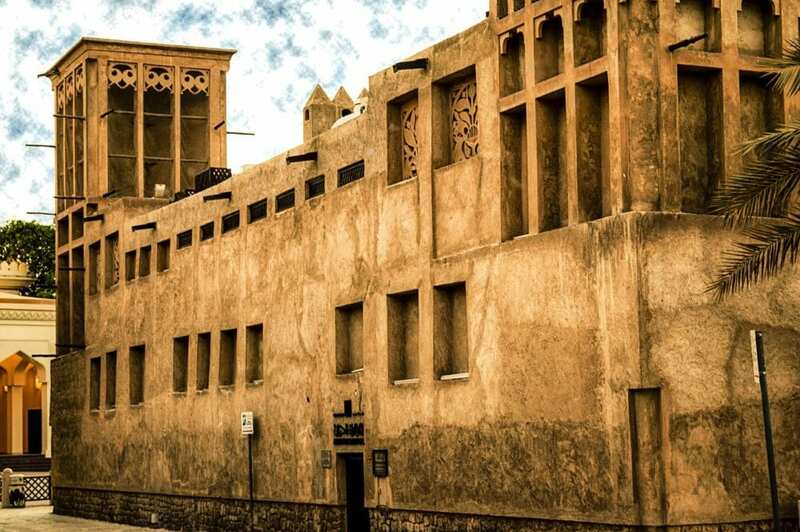 The Dubai Museum is located in the Al Fahidi Fort, and shows Emirati life before the discovery of oil. The Sheik Mohammed Center for Cultural Understanding seeks to promote cultural understanding amongst visitors and residents through interactive programs such as Cultural Breakfast Mondays. 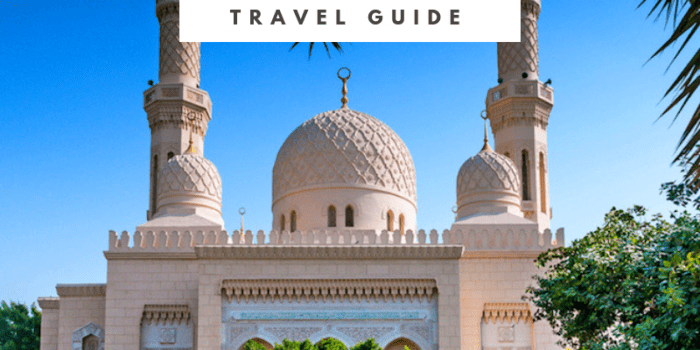 For a glimpse into Muslim culture, the Jumeirah Mosque, claimed to be the most photographed mosque in the world, is open to non-Muslims through organized tours, which are offered daily (except Friday) at 10 am. 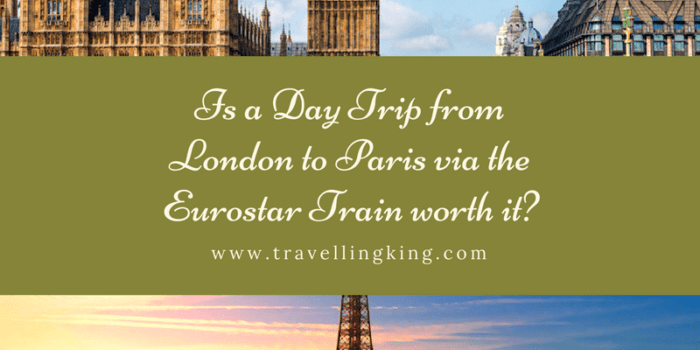 Your entrance fee includes water, dates, coffee or tea and pastries. Modest dress is required, or traditional attire can be borrowed from the Mosque. 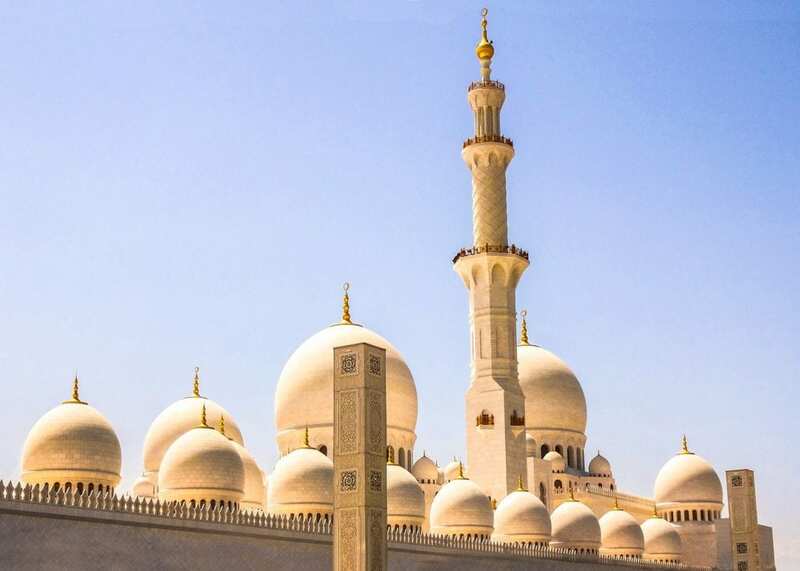 This is the only mosque in Dubai that is open to the public. 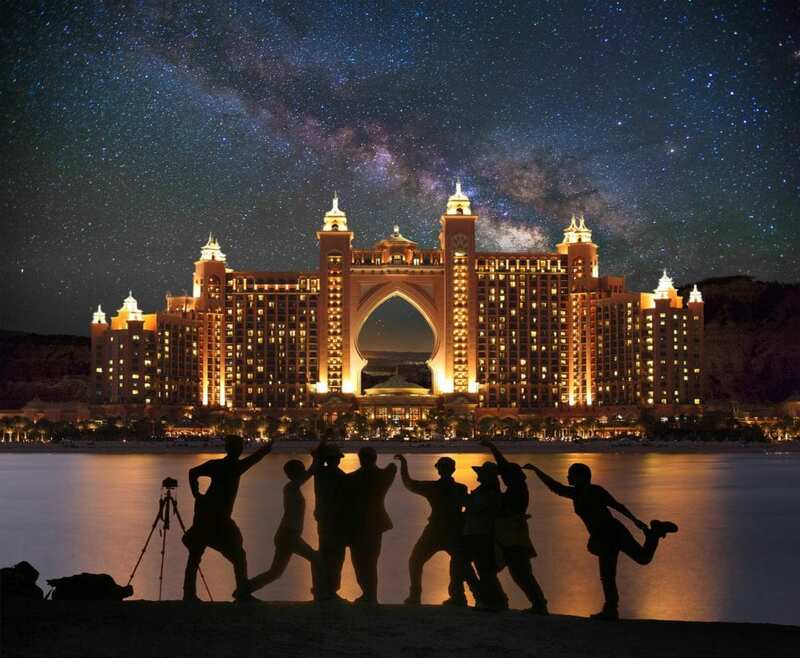 Surprisingly, for a conservative Muslim nation, Dubai has a reputation for a good nightlife scene. 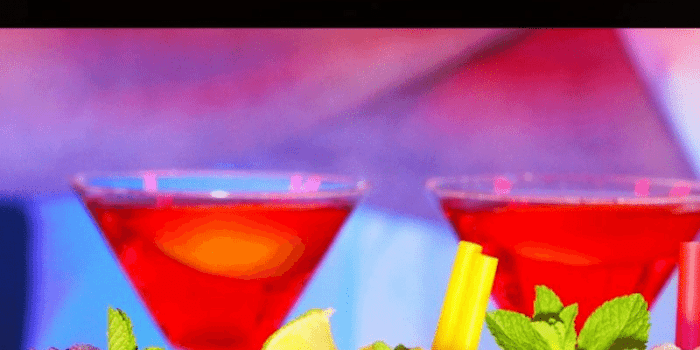 It may also surprise some visitors that the drinking age in Dubai is 21, so be prepared to show ID when entering the nightclubs. 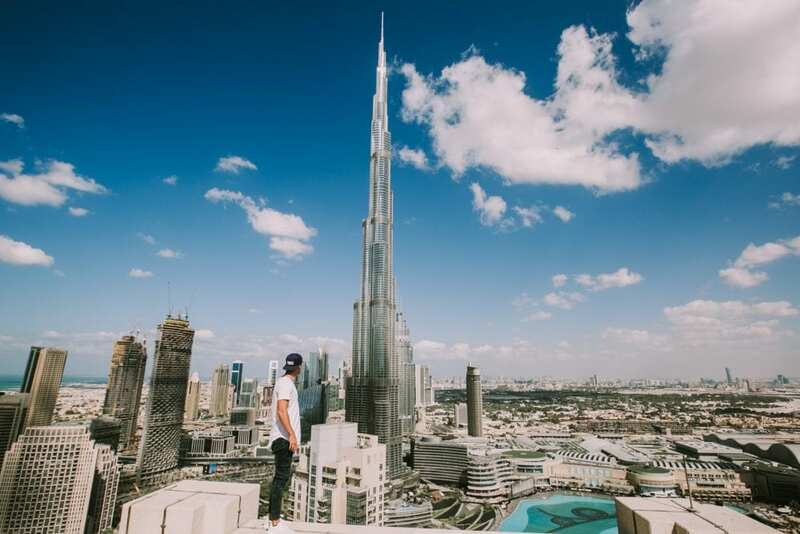 Of course, Dubai aims to have the biggest and best nightclubs with outrageous entertainment, but there are also more low-key options like bars and speak-easy’s if that’ more your style. 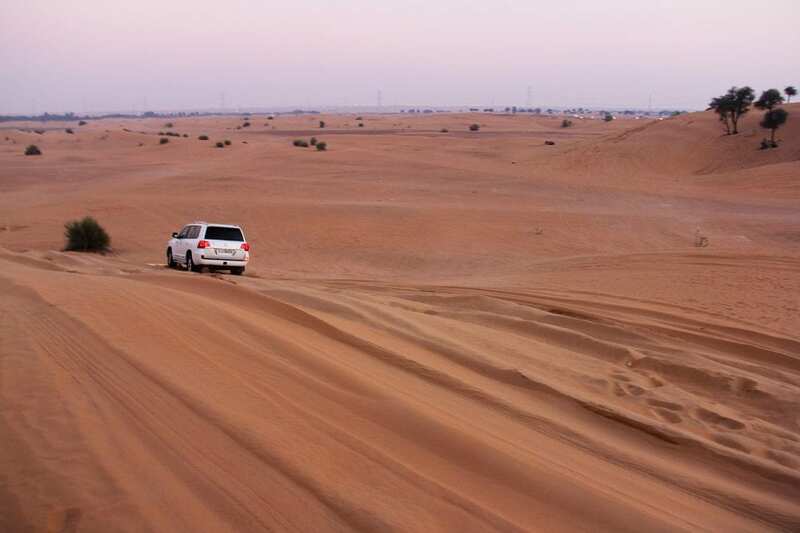 While Dubai city has enough to entertain visitors for a long time, one might wish to escape the city and see some of the desert landscape. Safari trips into the nearby desert are available in many forms, from day trips to overnight excursions. 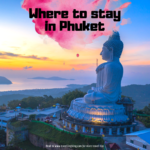 You can ride dune buggies or camels, surf the sand dunes, or just relax in a luxurious tent to enjoy the sunset before camping under the stars. 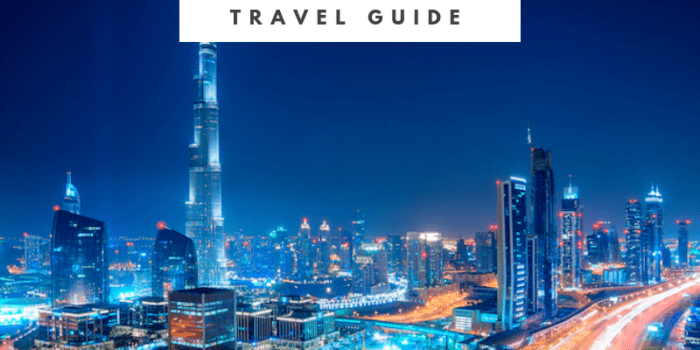 As long as you have traveled to the United Arab Emirates, you may also want to take a day trip from Dubai. 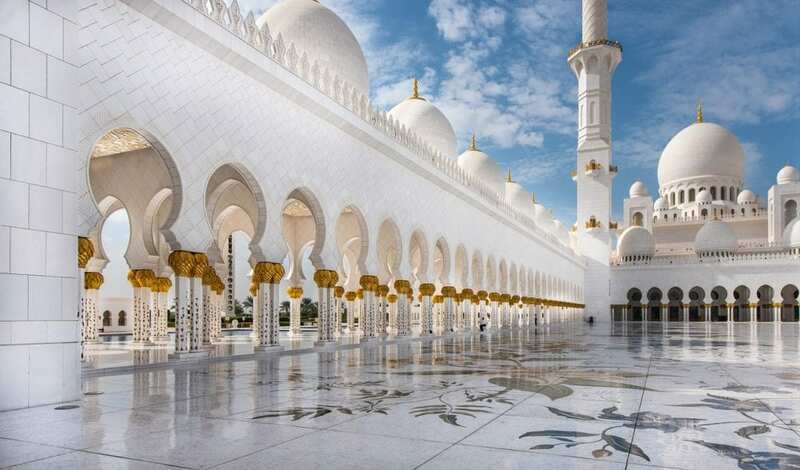 Abu Dhabi is just 90 minutes away and has its own outrageous attractions such as Ferrari World and the country’s largest mosque, the Sheikh Zayed Mosque. 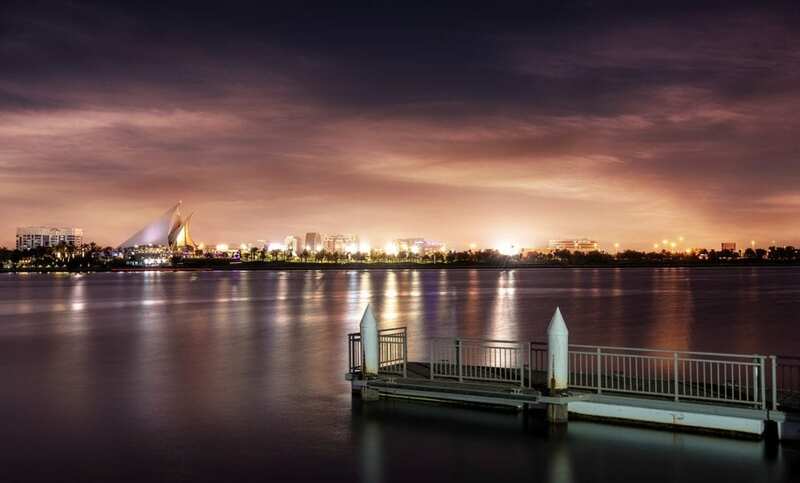 You can take a seaplane, drive or join a tour from Dubai to Abu Dhabi. Muscat, Oman is also a day trip option, with flights around 1 hour, or a drive of 420 km.